Romantically hushed and dreamlike, the listeners were captivated by Brahms’ breathless composition. Then, no sooner had the last note drifted into tranquillity, the piano keys came to life again, this time with the stormy energy and musical genius of Chopin. But this was no ordinary piano performance. Rather, it was the final movement in a retail display concerto that we had conducted on behalf of 1066 Pianos, a long-standing business dedicated to the restoration and creation of the world’s finest pianos. And it was no ordinary venue. Rather, it was Harrods, the world’s most famous luxury department store. 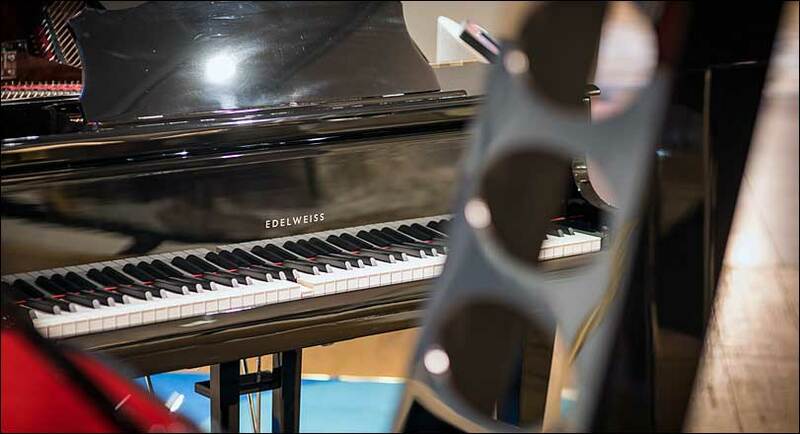 The UK-based family-run 1066 Pianos has been designing and creating the world’s most exquisite pianos for more than four decades. 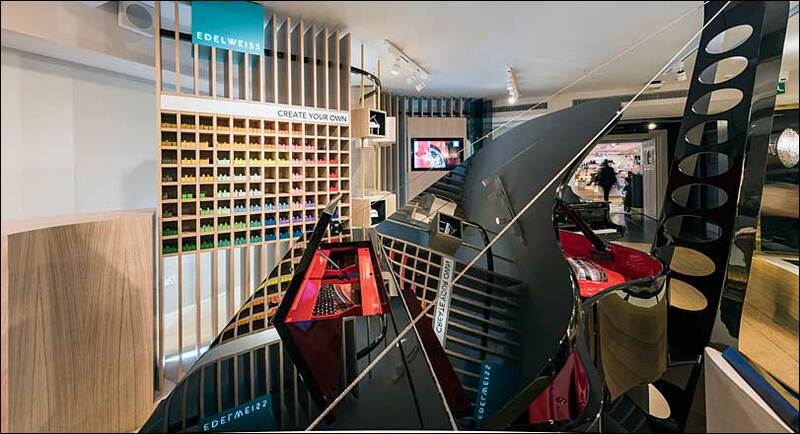 Following our Merit 360° methodology, we were commissioned to plan, create, and install a classical shop area within the grand store, focused on bespoke self-playing Edelweiss Pianos, each of which is a masterpiece in its own right. The challenge included creating our own interpretation of an elaborate design composition and meeting the meticulous high standards of both 1066 Pianos and Harrods. Display cases with miniature pianos for customers to select their preferred model. Customised slots for the presentation of coloured piano keys, to further assist customers’ selection process. 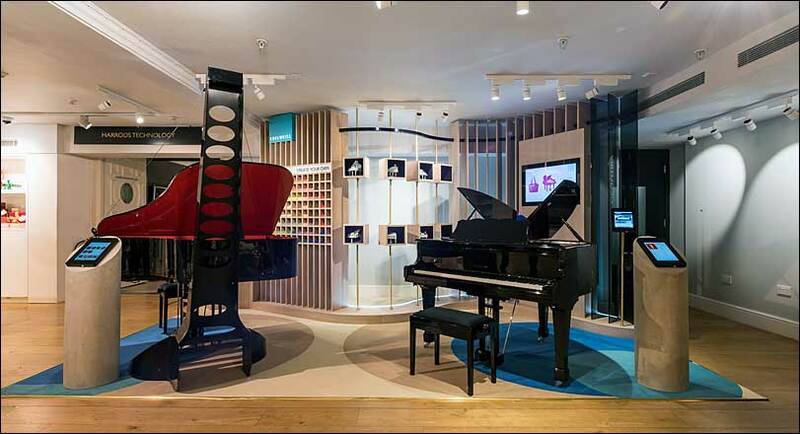 Subtle lighting and carpeting coloured to complement the pianos on display. 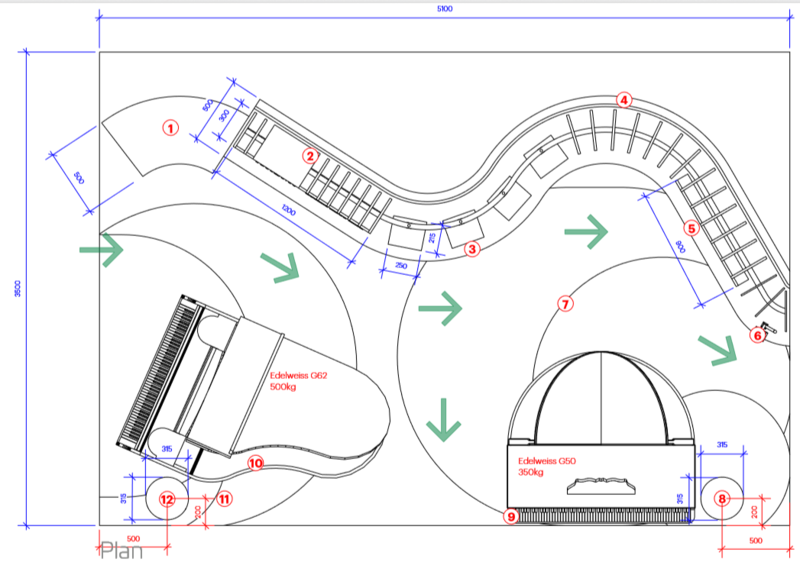 Curved plinth and stand details to match the piano styles. High-tech tablets and touch screens so customers could browse the selection of pianos and listen to their choice of music. Like the best of compositions, we made the extra effort required to fine-tune the various elements. And it all proved worthwhile as the final display struck exactly the right chord with 1066 Pianos and their customers within Harrods.